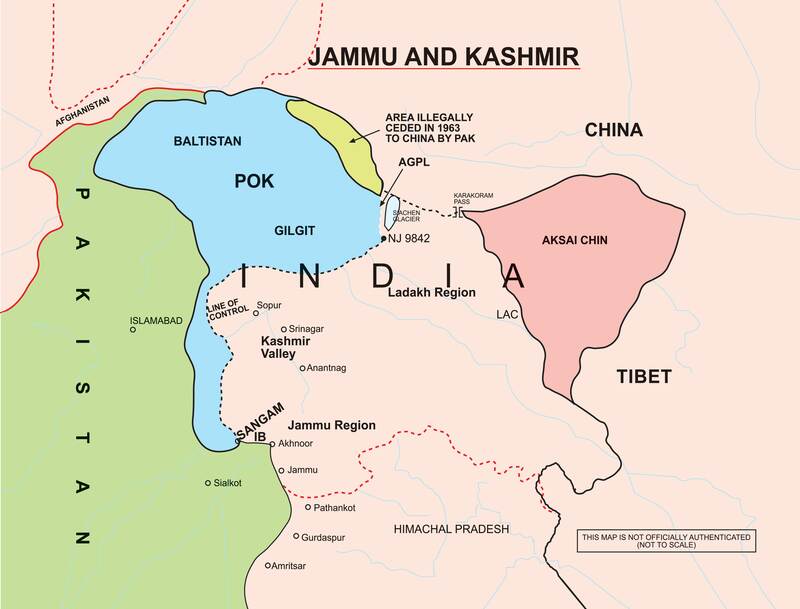 The Kashmir problem continues to vex the two nations created out of a colonial exit which devoted limited thought on the future of such populous entities. Pakistan feels incomplete without the ‘K’ in its national nomenclature. This was aggravated by the cleavage of its eastern half in 1971, questioning the ‘rason detre’ of partitioning. India continues to nurse the wounds of the 1947-48 aggression which deprived it of the Radcliff drawn territorial rights. Perhaps there was a colonial design in creating a festering sore which would have very limited probability of healing. After all, the Commanders-in-Chief on both sides were British and it is most unlikely that the impending Pakistani aggression to violate the newly-drawn international border, would not have been known to both. This aspect needs to be borne in mind in historical retrospect. India’s security challenges along with the growing economic needs and interests thereon will result in a continuous shift and changing profiles of threat and power equations. Its area of interest will expand way beyond the borders right up to Antarctica in the South, Africa to the East, Central Asian Region (CAR) in the North and South China Sea to the South East. 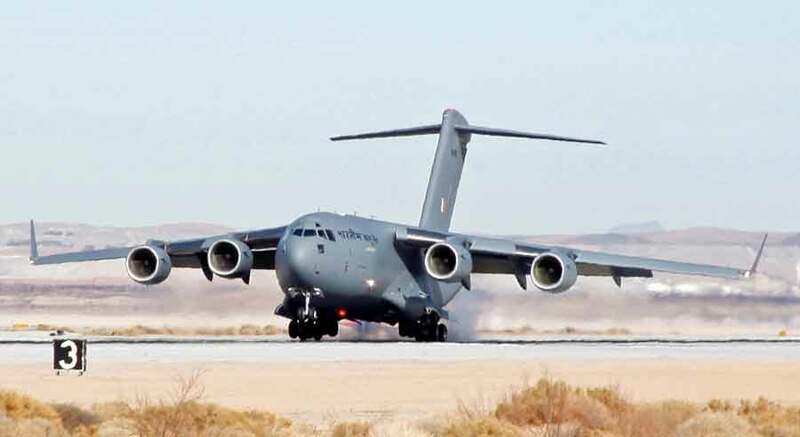 Therefore, the nation’s strategic airlift capability supported by sea controlling Navy and long reach fighter aircraft will be imperative to support India’s futuristic security needs. India surges ahead in underscoring its strides into the Asian age with a fast growing economy at an astounding rate of nearly eight per cent. As per the report of February 09, 2015, published in the Indian national daily ‘The Hindu’ India is set to grow 7.4 per cent and cross the $2.1-trillion mark this year against 6.9 per cent in 2013-2014. India grew 7.5 per cent in the October-December quarter, according to the estimates released, overtaking China’s 7.3 per cent growth in the same quarter, to become the fastest growing major economy in the world. On July 27, three gunmen in military fatigues marched into a police station in Gurdaspur, an urban district in the Indian border state of Punjab. After an 11-hour gun battle, all three terrorists were killed—but so were nine civilians and police personnel. The state had not seen any significant terrorist violence since the 1980s, when a vicious ethno-religious insurgency between Sikhs and Hindus ended. According to the Indian Ministry of Home Affairs, based on evidence collected from GPS devices taken from the scene, the terrorists had come from Pakistan. Despite the successful containment of the attack—the terrorists had apparently hoped to create more mayhem in the state—the incident has once more laid bare India’s lack of a sufficient counterterrorism strategy. This is despite continued attacks from terrorists based in Pakistan, the most dramatic of which was the one at multiple sites in Mumbai in November 2008. India’s response to that strike, which was attributed to the Lashkar-e-Taiba, was nothing short of shambolic; it took security forces close to 72 hours to suppress the gunmen, at a cost of over 150 lives. The United States government will not certify Pakistan’s counter-terrorism operations in North Waziristan over recent months as adequately damaging to the Haqqani network, a U.S.-designated terror group. The U.S. Department of Defense has reportedly notified the Pakistani embassy in Washington of the development, according to a report by Dawn. The non-certification of the Pakistani counter-terror campaign, known as Operation Zarb-e-Azb, will block the release of a new tranche of U.S. financial assistance for the Pakistani military from the Coalition Support Fund (CSF). CSF support had been extended for a year with a specific stipulation that the U.S. Department of Defense would certify the effectiveness of Pakistani military operations in North Waziristan against the Haqqani network. 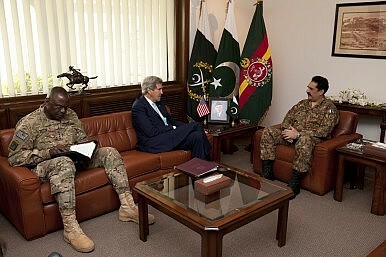 Ever since 9/11, the United States has provided Pakistan with a steady supply of security and nonsecurity assistance. U.S. officials have justified these generous transfers—worth more than $30 billion since 2002—on the grounds that they secure Pakistan’s ongoing cooperation in Afghanistan, bolster Pakistan’s ability to fight terrorism, and give the U.S. government influence over the country’s ever-expanding nuclear weapons program. Failing to deliver this support, the argument runs, could dramatically weaken the will and capacity of Pakistan’s security forces and possibly even lead to the collapse of the Pakistani state. In that event, Pakistan’s nuclear know-how, material, or weapons could well fall into the hands of nefarious actors. Yet that logic is fundamentally flawed. Many of the weapons Washington gives Islamabad are ill suited to fighting terrorism, and continued transfers will do nothing to convince the Pakistani government to end its long-standing support for terrorist groups. In fact, U.S. assistance gives Pakistan an incentive to foster a sense of insecurity concerning its nuclear arsenal and expanding ranks of jihadists. Is Peace Possible in Afghanistan? The first seven months of 2015 saw unprecedented movement toward peace in Afghanistan. A series of unofficial meetings between the Taliban and the Afghan government culminated in an official meeting in Pakistan on July 7. A second meeting was scheduled for July 31. 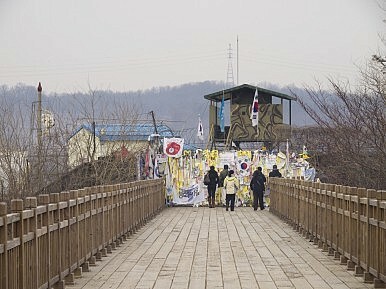 The gatherings were preliminary, but real peace talks appeared close at hand. Then, on July 29, the world learned of the death of Taliban leader Mullah Omar. Mullah Omar was always the wild card for peace talks. Only he could ensure that the Taliban would stand together behind a deal, experts said. Without his endorsement, the talks would be illegitimate. WHO IS MULLAH AKHTAR MANSOOR? In what is quite apparently a bid to keep the movement from fraying without the magnetism and authority of Mullah Omar, his successor, Mullah Akhtar Mansoor, new chief of the Afghan Taliban, has pulled out of the Pakistan-sponsored peace talks between the Taliban and the Kabul government and vowed that the jihad will continue. Mansoor, who is around 50 years old, was born in Kariz village in Kandahar’s Maiwand district to a poor, farming family. During the Soviet occupation of Afghanistan, his family, like countless others, encamped in Pakistan. As a stocky and seemingly humorless madrassah student in Jalozai camp near Peshawar in 1994, Mansoor cultivated his fellow students with his generosity and compassion. He parlayed his popularity into a position in the Harkat Islami student union. Although Mansoor had briefly participated in the jihad against the Soviets, he was a bit of a latecomer to Omar’s burgeoning Taliban movement that was quickly filling up the power vacuum in restive post-occupation Afghanistan. In June 1995, he decided to abort his religious schooling and head back home to join the movement. Mansoor took with him 150 students from Afghan refugee camps in Pakistan to Kandahar to pledge allegiance to the Taliban. He caught Omar’s eye and rose to become the Taliban regime’s minister for civil aviation. There are many valid reasons why the United States considers Asia a maritime theater, in the present even more so than in the past. But however justified a maritime bias in U.S. strategic thinking may be (a bias I share), militaries rarely get to choose the type of conflict they fight. Land wars in Asia have been more prominent than our collective memories seem to allow, and the prospect of future conflicts on land are just as likely as conflicts at sea. A failure to acknowledge this risks investing in a military force structure optimized for the wrong fight. Cambodia, Laos, Vietnam and Myanmar are the poorest, least well-run countries within ASEAN. They are also notoriously publicity-shy. Anything negative that needs to be shared is usually served-up amid a flurry of bureaucratic dogma that tends to bury the bad news. The messages are still there, but one needs to pay attention. 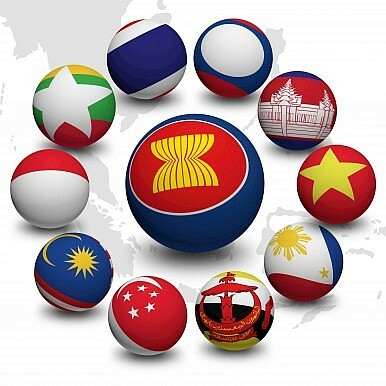 And it’s worth adding that there is nothing that could be less appealing to a newspaper editor – even a communist one – than a gathering of bureaucrats for a discussion about “budgets and oversights” at a joint workshop for ASEAN’s most economically challenged. Yes, Hanoi said “huge impacts.” And it’s worth more than the passing notice it barely got while buried on the webpages of the state-owned Vietnam News Service (VNS). A changing landscape in East Asia calls for greater diplomacy between the United States, Japan, and South Korea. In the 70 years since the end of World War II, Japan, with access to open markets and a security guarantee from the United States, has risen from the ashes of war and transformed itself from vanquished foe to prosperous and steadfast friend. The strong U.S.-Japan alliance has played a major role in maintaining peace in the region. But some dark clouds are forming for the future. East Asia, an emerging powerhouse for the world's economic growth, is undergoing a transition that could lead to productive harmony – or to devastating conflict. Much depends on how skillfully the United States and its key Asian allies adjust to (and try to shape) the changing dynamics. Now the relationship has matured, and the two countries have a more equal partnership, spanning the globe in the fields of security, trade, technology, health and many others. At the same time, conditions throughout East Asia have changed. China has become a preeminent economic power in the region and is reasserting its influence economically, politically and militarily. Resurgent nationalism has reignited smoldering disputes, and North Korea's unpredictable dictator is threatening the use of nuclear weapons more credibly than before. How China's military build-up in the South China Sea is and is not like the Maginot Line might be among the most important strategic questions of our time. The Maginot Line became a ubiquitous symbol of failure in defense planning; an adversary that adapted its offensive strategy to bypass the line quickly rendered one of the strongest and most elaborate defense networks the world had yet seen irrelevant. It then follows that if this comparison with China’s strategy in the South China Sea holds water, the People’s Liberation Army is engaged in an expensive, futile effort that leaves them destined to be out-flanked. But, what if this analogy is wrong, starting with their characterization of the Maginot Line? Like “Beam me up, Scotty,” or “Play it again, Sam,” (neither of which were actually said in Star Trek or Casablanca, respectively) popular references oftentimes diverge from reality. In this case, inaccurate recollections bring with it the potential for fatally flawed analogies. 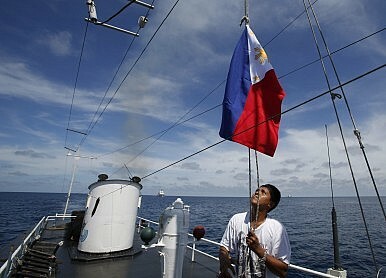 Should the Philippines’ South China Sea Case Against China Proceed? Two and a half years ago, the Philippines took an unprecedented step to shake up the territorial dispute roiling the waters of the South China Sea. For years, six nations – including the Philippines and China –have wrestled over control of a smattering of islands and reefs dotting the oceanic expanse. At times, the dispute has been heated, even violent, but it largely played out within the four corners of the sea itself. That changed when Manila brought the dispute into the halls of the Peace Palace, the home of the Permanent Court of Arbitration. The island nation legalized the conflict by instituting arbitral proceedings against China, essentially suing Beijing for its allegedly aggressive and “unlawful” behavior in the South China Sea. The case has meant much to many. 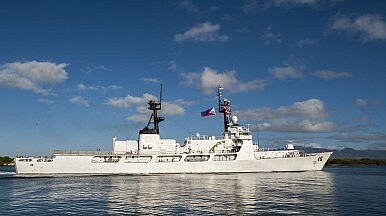 To the Philippines, it bears out “the conviction that principles trump power; that law triumphs over force; and that right prevails over might.” Others have suggested that the suit implicates the vitality of the maritime dispute settlement system, or even that it is really a case about the validity of international law itself. Recently, I’ve been reading some interpretations and analyses of a series of lengthy and tedious speeches, instructions, and policies put forward after President Xi Jinping took office. It’s a lot of fun. Previously, upon publication of Xi’s book, I started to recommend the book to my American friends and even volunteered to sell the book once, just like a typical “self-employed 50-center.” In my opinion, you need to study China’s problemsby reading Xi’s book and listening to his speeches – then you can easily gain a comprehensive understanding of the situation and predict the future. Many of Xi’s speeches have come to fruition and a lot of his directives are being implemented by various departments, but there are still some policies that remain unimplemented, or where there are some discrepancies between his speeches and reality. 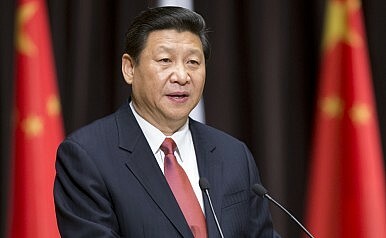 Because of my own research interests, I have been quite interested in three directives from Xi over the past six months, including instructions on China’s personnel system, “new-type think tanks,” and the “united front” work aimed at “Big Vs,” Chinese social media leaders. Today, many observers believe the U.S.-China relationship is at one of its lowest points since the normalization of ties in 1979. Growing tensions over cyber issues and the South China Sea are already threatening to overshadow a long-planned visit by Chinese President Xi Jinping to the United States in September of this year. But the U.S.-China relationship used to be far different. 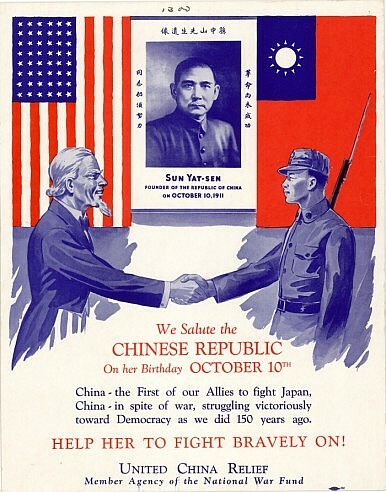 As the world commemorates the 70th anniversary of the end of World War II, let’s also take a look back at the U.S.-China alliance during the war period – and, particularly, how China was portrayed as a friend and ally in popular discourse in America. Early on, U.S. aid to China was limited to diplomatic pronouncements opposing Japan’s invasion of China. In 1940, Washington went a step further — Roosevelt approved credits to the Chinese government that would be used to purchase war supplies. After Japan signed its Tripartite Pact with Germany and Italy in September 1940, the U.S. instituted a full embargo on Japan. Negotiations with Japan in 1940 and 1941 made little headway, in part because public sentiment (including among U.S. officials) demanded a full Japanese military withdrawal from China. After the Pearl Harbor bombing in December 1941, the United States declared war on the Japan and further strengthened its political and military ties with China. 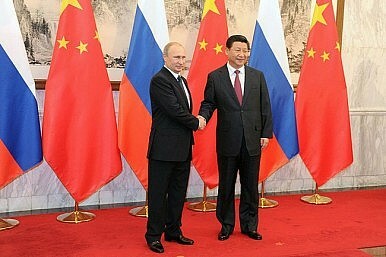 Have Russia and China Signed a Cyber Nonaggression Pact? Many observers have characterized the agreement as a largely political move at a time of heightened tensions with the United States and Europe. The alignment of Russia and China is seen as a response to growing Western pressure. Accordingly, Russia’s pivot to the East follows Western sanctions over its actions in Ukraine. On August 14, Japanese Prime Minister Shinzo Abe delivered his long-awaited statement on the 70th anniversary of the end of World War II. 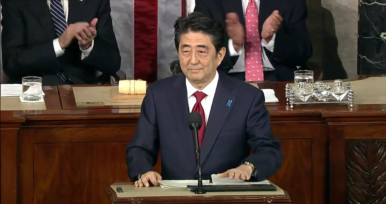 The reception to the speech was mixed – some noted that Abe included all the key phrases from past statements, including admissions of Japan’s “aggression” and “colonial rule” and emphasized the lessons learned from history. Others criticized Abe for not actually offering an apology, leaving historical issues to rankle for the foreseeable future. But the most important reactions come not from pundits, but from other governments, particularly those of Japan’s neighbors. China and South Korea expressed intense interest in (and concern about) the contents of Abe’s statement in the lead-up to the speech. How did their governments respond to the final version? China’s rise poses two broad challenges for U.S. foreign policy: how to deter the People’s Republic from destabilizing East Asia and how to encourage it to contribute to multilateral global governance. Although China is not yet a military peer competitor of the United States, it has become powerful enough to challenge U.S. friends and allies in East Asia and to pose serious problems for U.S. forces operating there. And although China is still a developing country with significant domestic problems, it has become an important enough actor that its cooperation is necessary to solve global problems such as nuclear proliferation, climate change, and international financial instability. At the end of President George W. Bush’s second term, the U.S.-Chinese relationship was heading in the right direction on both fronts. Under President Barack Obama, significant progress has been made on some issues, but the U.S.-Chinese security relationship and the Asia-Pacific region in general are far more tense today than they were at the start of 2009. That is not necessarily the Obama team’s fault, however, because Chinese actions bear much of the blame. China emerged from the global financial crisis cocky on the international stage but insecure at home, a toxic combination that has made managing relations with it even more difficult than usual. With some exceptions, the Obama administration has generally done well under what have been extremely difficult circumstances. The next administration will face the same double challenge and will need to build on its predecessor’s accomplishments and learn from its successes and failures. For the first time since 2008, economic alarm bells are ringing in China. Hard on the heels of a two-month stock market rout, the Chinese yuan lost nearly five percent of its value in just two days. The stock market might have rebounded, but the economy is still in trouble. Three and a half decades of easy profits from one-way bets on China's reintegration with the outside world have come to an end. China is now part and parcel of the global economy, and the normal laws of economic gravity apply in China, too. The first of those laws is that there's no such thing as a free lunch. There is a financial crisis brewing in China, but the usual bugbears of the stock market, declining exports, and even the yuan crash are only appetizers, not the main course. The coming crisis has much more to do with demographic stagnation, capital flight, and the decision in 2013 to give the market a “decisive” role in China's economic development. These trends will combine over the next few years to make it increasingly difficult for administrators at all levels of the Chinese government to meet their financial obligations. I’ve been reading up a lot on economic theories of speculation as this is precisely what my dissertation is on and so far as I can tell the only real attempt to deal with speculative dynamics from a properly macroeconomic point-of-view is Nicholas Kaldor’s 1939 paper Speculation and Economic Stability. Sure, people will point to Minsky’s theories but they do not really contain a theory of speculation. The closest is really Keynes’ own A Treatise on Money but the discussion there is rather primitive. In what follows I will lay out a critical overview of Kaldor’s paper. Iraq’s armed forces and their Shiite militia allies are beginning preparations to retake Ramadi the capital of the heavily Sunni province of Anbar which they lost to the self- styled Islamic State in May; American advisors are assisting them in planning the operation. There is a much better than fifty-fifty chance that the operation will become another Iraqi strategic failure. Simply stated, the jihadists are playing chess while the loose coalition arrayed against them is playing checkers. The army that the Islamic State has created is very adept at maneuver warfare; it focuses its enemies on strategically meaningless objectives while Islamic State forces probe for weaknesses to exploit elsewhere. Once the opponent has massed forces and cannot shift them quickly, the excellent jihadist light infantry will attack the selected targets of opportunity. Tajikistan has become the latest Central Asia country to close schools linked to the Gülen movement, a global religious and social movement founded in 1992 by the controversial U.S.-based Turkish Imam Fethullah Gülen. The charter schools, which have operated with the support of the Tajikistan-based Salale Education Institution, have faced considerable resistance over the last two years, and have been under investigation since January 2015. The decision to close the schools was announced by President Emomali Rahmon in May. 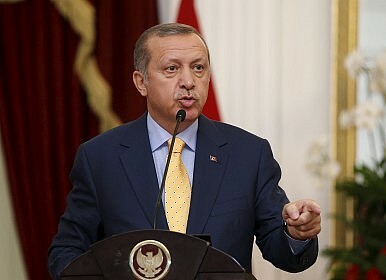 It is a decision that signals further religious oppression and reflects the emerging partnership between Tajikistan and Turkey. The Gülen movement, also known as the Hizmet Service, opened its first school in 1982. Today, it is believed to operate more than 1,000 schools worldwide. That number is set to decrease because of school closures in Turkey and other countries. Fethullah Gülen was influenced by the teachings of Kurdish theologian Said Nursi and focuses on compatibility and cohesiveness between modernity, education, and Islam in Turkey and abroad. The movement is a form of cultural Islam. Gülen emphasizes math and science, and promotes entrepreneurism and capitalism. The schools are funded by Turkish businessmen and foundations (vakif). 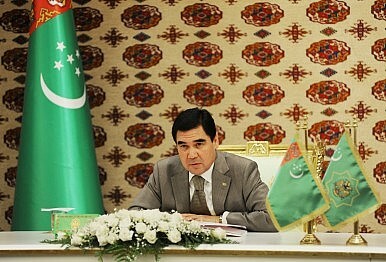 Tajikistan’s President Emomali Rahmon visited his Turkmen counterpart in Ashgabat today, signing a handful of deals. The visit, which comes two weeks after Turkmen President Gurbanguly Berdimuhamedov made his first visit to Kyrgyzstan, points to a deliberate, though certainly limited, opening of the closed country. As Turkmenistan looks toward celebrating its 20th anniversary of neutrality in December, it seems poised to shed at least a modicum of the associated isolation. The motivation for this is simple: the large energy projects Turkmenistan wants to complete all require better relations with a select few countries, with which it has made increased diplomatic efforts in recent months. Hints are growing of Israel and the Gulf kingdoms finding common ground, if only to oppose Iran and Islamic State. These initial ties should be the basis for a lasting peace. The head of the Israeli Foreign Ministry, Dore Gold, let slip last month that the Sunni Arab states in the region are “Israel’s allies.” This bit of news came after he also revealed in June that Israel and Saudi Arabia have held secret talks in recent months. While similar nuggets of hope have not been heard on the Arab side, these comments should not be ignored. Informal ties between Israel and the Gulf kingdoms are not new. Both sides often share intelligence on mutual security interests. But new dynamics in the Middle East suggest the possibility of a breakthrough in Arab-Israeli ties. It could not come too soon. For now, any peace feelers are based on what Israel and Saudi Arabia jointly oppose, not what they might gain in benefits from friendly relations. And that list only gets longer. Viewed through the lens of 70 years of nuclear history, how should we assess the nuclear deal with Iran? The current debate in Washington over the Iran nuclear deal is both polarizing and highly politicized, making it difficult to rationally discuss the most important question — how does the agreement fit into the long-term grand strategic interests of the United States? To better explore this issue, the deal must be removed from the day-to-day grind of politics and viewed in broader historical terms. Critics of the recently concluded nuclear agreement with Iran focus on two alleged flaws. First, they argue the Obama administration allowed Iran to get off too easy. For example, under the Joint Comprehensive Plan of Action, Iran can continue enriching uranium, albeit in a far more limited manner. And while verification measures are stringent, they are not foolproof, a concern given Iran’s past record of violating its Non-Proliferation Treaty obligations. Second, the sanctions relief provided under the deal will free up billions of dollars for Iran. This windfall could better enable the regime to pursue an ideological and geopolitical agenda in the Middle East and beyond that is deeply at odds with the interests of the United States and its allies. This memo offers a baseline assessment of the reform process as it stands a year and a half after the Euromaidan protests and the fall of Viktor Yanukovych’s government. The Ukraine Reform Monitor provides independent, rigorous assessments of the extent and quality of reforms in Ukraine. The Carnegie Endowment has assembled anindependent team of Ukraine-based scholars to analyze reforms in four key areas. To kick off a series of regular publications, this first memo offers a baseline assessment of the reform process as it stands a year and a half after the Euromaidan protests and the fall of Viktor Yanukovych’s government. The first step in constitutional reform was taken in February 2014, when the Yanukovych-era system was replaced with a mixed parliamentary-presidential system that limited the powers of the presidency. The next major step, a decentralization package, is currently being reviewed by the parliament. Legitimacy of the political order was restored through free and fair presidential(May 2014) and parliamentary (October 2014) elections. Ukrainians chose a new president, and a pro-reform coalition was formed in the Rada, or parliament. This coalition and the alliance between President Petro Poroshenko and Prime Minister Arseniy Yatsenyuk is currently under strain; many observers believe it may not last much longer and that new elections are possible. Ashton Carter has an unusual background for a secretary of defense. Before assuming the United States’ top military post in February, he studied medieval history and particle physics as an undergraduate at Yale, got a Ph.D. in physics as a Rhodes scholar at Oxford, and taught international affairs at Harvard. He also served as an assistant secretary of defense in the Clinton administration and as an undersecretary and then the deputy secretary of defense under President Barack Obama. Since becoming secretary, Carter has displayed an unusual bluntness, openly criticizing Iraq’s military forces and talking tough to adversaries such as China and Russia. In his first full-length print interview since becoming secretary, Carter met with Foreign Affairs managing editor Jonathan Tepperman in his Pentagon office in early July. You’ve held a lot of jobs in the course of your career. Which best prepared you for your current position? Myanmar is soon to hold elections for regional/state assemblies, the national parliament, and the president. Voting for the first two, scheduled for November 8, will influence the third – the election of the president, which may take place in February 2016. Much is at stake, not only for political forces within the country but also for powers elsewhere in the region. The process of conducting free and fair elections and their eventual outcome will very likely influence regional politics. Of the three elections, what really matters in the immediate future is the voting for members of the two houses of parliament. The Upper House has 224 seats and the Lower House has 440. Of these, 25 percent are reserved for the military. Thus, the contest is for a total of 498 seats. Seventy-three political parties are in the fray. The principal players are the current ruling party, the Union Solidarity and Development Party (USDP), and the main opposition party, the National League for Democracy (NLD), led by opposition icon Aung San Suu Kyi. Other parties will matter mostly in the non-Bamar/Burman constituencies, where voters may prefer ethnic over national parties. In the Bamar areas, the contest is taking place within the context of a marked ascendancy of narrow Buddhist nationalism. This ensures that perceived threats to the Buddhist nation will be the key concern for many, rather than other issues such as the transition to democracy, the role of the military, political reforms, economic growth, or ethnic reconciliation. Currency devaluations by China and Vietnam are a symptom of Asia’s deepening “trade recession,” analysts warn. With further downside risks seen, the pressure on policymakers to deliver an economic kick-start is growing rapidly. 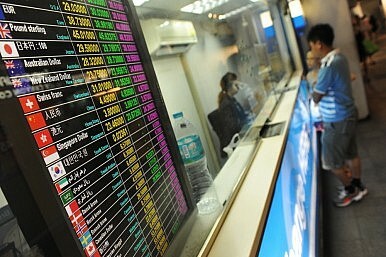 On Wednesday, the State Bank of Vietnam (SBV) made its third currency devaluation this year, raising the U.S. dollar reference rate for the Vietnamese dong by 1 percent to 21,890 and widening the trading band to the 21,233 to 22,547 range. The double policy move by the SBV followed its band widening last week in response to China’s surprise yuan devaluation, with Vietnam also worried by the prospect of higher U.S. interest rates. Black Hat 2015 In February, whistleblower Edward Snowden revealed that the NSA and GCHQhacked one of the world’s biggest SIM card manufacturers to clone cards and crack encryption, but research revealed at Black Hat shows they needn’t have bothered. Yu Yu (yes, that is my real name, he joked) is a research professor with Shanghai Jiao Tong University who has spent the last year finding out how to crack the encryption codes on 3G and 4G cards. These use AES-128, which is supposed to be virtually unbeatable by a brute-force attack, but turns out to be easy to defeat using side-channel analysis. Side-channel attacks measure things like power consumption, electromagnetic emissions, and heat generation to work out what is going on in a chip. The technique has been around for years, and requires physical access to the target device. Yu and his team assembled an oscilloscope to track the power levels, a MP300-SC2 protocol analyzer to monitor data traffic, a self-made SIM card reader, and a standard PC to correlate the results. With this simple setup they cracked eight commercial SIM cards in between 10 and 80 minutes. The National Security Agency's ability to spy on vast quantities of Internet traffic passing through the United States has relied on its extraordinary, decades-long partnership with a single company: the telecom giant AT&T. While it has been long known that American telecommunications companies worked closely with the spy agency, newly disclosed NSA documents show that the relationship with AT&T has been considered unique and especially productive. One document described it as "highly collaborative," while another lauded the company's"extreme willingness to help." Which Country Sends The Most Remittances? Dominated by Western Union, MoneyGram and Ria, the market for cross-border money transfers is absolutely enormous. $583 billion was remitted globally last year. The United States accounted for the highest portion, approximately $131 billion. Saudi Arabia's large migrant workforce saw it send $45 billion in remittances in 2014 while the UAE remitted $29 billion. This chart shows the top 10 remittance-sending countries in 2014. This column frames a question to which I do not have the answer. Or think of it as a historical agenda: How can we bring the logic of free market exchange into the domain of geopolitical conflict? Why would we want to do such a thing? It's not simply a matter of substituting gold for guns, or nonviolent exchange for violent exchange. The question I am posing is not based on some utopian hope for perpetual peace. The distinction I want to focus on is the difference between zero-sum conflict and positive-sum exchange. With rare exceptions like landfill extensions or China's artificial islands in the South China Sea, the quantity of land on this Earth is fixed. Whatever territory one country gains, another must lose; any exchanges are thus zero sum. This is not so in the marketplace. The butcher comes to market to sell meat and buy bread, voluntarily. The baker comes to market to sell bread and buy meat, voluntarily. Both are beneficiaries of the voluntary exchange. Both return home better off than when they left home; theirs was a positive-sum exchange. This mutually beneficial interaction in the marketplace was not always so. When bands of hunter-gatherers strayed into one another's territory, there was a decent chance they would come to blows over limited prey. What one band killed and ate, another could not. Later in our evolution, some people satisfied their needs by enslaving others and coercing their labor. Law enforcement agencies must explain how often and why they use lethal force. The PRIDE Act should be passed into law as soon as possible and the Obama administration should give it the stick it needs to be useful. As the nation marks a year since the shooting of Michael Brown and heavily policed responses to subsequent protests of the shooting, police militarization is again making the news. Of particular interest is the Department of Defense-run 1033 Program. Begun in 1990 via the National Defense Authorization Act(NDAA) and expanded in 1997, the program permits the secretary of defense to transfer equipment, including small arms and ammunition, to law enforcement agencies in consultation with the attorney general. Police organizations get equipment for free, primarily to fight the “wars” on drugs and terrorism, and the Department of Defense decreases its excess equipment stock. But with little oversight, the program has become embroiled in controversy. The debate about the civil–military divide remains a constant topic within our post-modern society. The arguments usually circle around how to help civilian leaders understand military culture, appreciate the challenges faced by military personnel, and improve the public’s understanding of the possibilities and limitations of military operations. But what if military personnel actively participated in the current intellectual and literary debates within civilian society? The example for such enthusiastic involvement in the cultural endeavors comes from the very same military theorist whose writings taught soldiers to think about war as a political act at its core: Carl von Clausewitz. His letter was written in 1808 to the poet and leader of the German Romanticism, August Wilhelm von Schlegel. The letter has been recently rediscovered in the vaults of the Saxon State and University Library in Dresden and is now published online for scholars to analyze. In his biography Clausewitz and the State, Peter Paret mentions it only briefly in a footnote. The letter has been also published in a little known German anthology Krisenjahre der Frühromantik from 1969. My partial translation here is the first time Clausewitz’s letter is being made available in English.